With the 2019 Chinese New Year just a few days away, it has been a tradition to share blessings through the "Ang Pao" - a red paper envelope containing a monetary amount as good fortune for the incoming year. And together with the Ang Pao, the number 8: a number that has long been associated with luck in Chinese culture, mainly for the fact that it sounds similar to a Chinese word that means "wealth”. 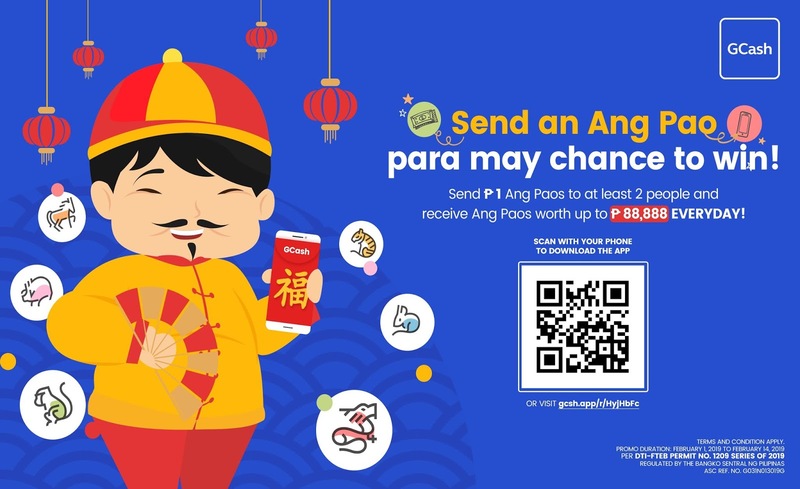 So to start the year right, the leading mobile wallet in the Philippines, GCash, is holding a special CNY promo for its customers! GCash users that will send digital Ang Paos worth a P1.00 minimum to at least two other users from February 1 - 14, 2019 will get a chance to win P88,888.88! Other rewards go from P1.88 up to P8,888.88.